Philipsburg is the capital of the Dutch side of the island of St. Martin, known as Sint Maarten, or just by the airport code SXM. It is home to a cruise ship terminal that sees five to seven cruise ships per day during the high season, with most boats holding 4000-6000 passengers plus an additional 2000+ person crew. That means that somewhere in the neighborhood of 30,000 people disembark on any given day, and competition for their business becomes fierce. Philipsburg is home to dozens of jewelry stores, a hefty selection of camera and electronic stores, duty free liquor shops, clothing and shoe stores, and a myriad of tourist shops. There are also dozens of bars and restaurants, plus a beach where you can rent chairs. Walking through town, people will be handing out flyers, often with enticing offers, in order to get you in the door. Step one: Accept the handouts! The most common offer is a free gift for entering the store. Make sure that you are dressed reasonably well. You do not have to be dressed to the nines by any means, as everyone is on vacation and the sales people realize that anyone could possibly be in the market for high end jewelry. Prior to entering any store, make sure that you have a firm budget, which could include a budget of $0. If not, you may find the well-polished sales techniques working on you! Also of note, if you plan to purchase any jewelry as a side effect of your plan to drink for free in Philipsburg, American Express is not accepted often. If it is, you will not be able to negotiate the price down as much as with other methods of payment. Furthermore, you can negotiate even better prices if you are willing to pay cash. Now that you are armed with a budget, walk into nearly any jewelry store of your choosing. The easiest choice is to look for one that has a visible bar collection. Then, start looking at the jewelry and ask a question or two. 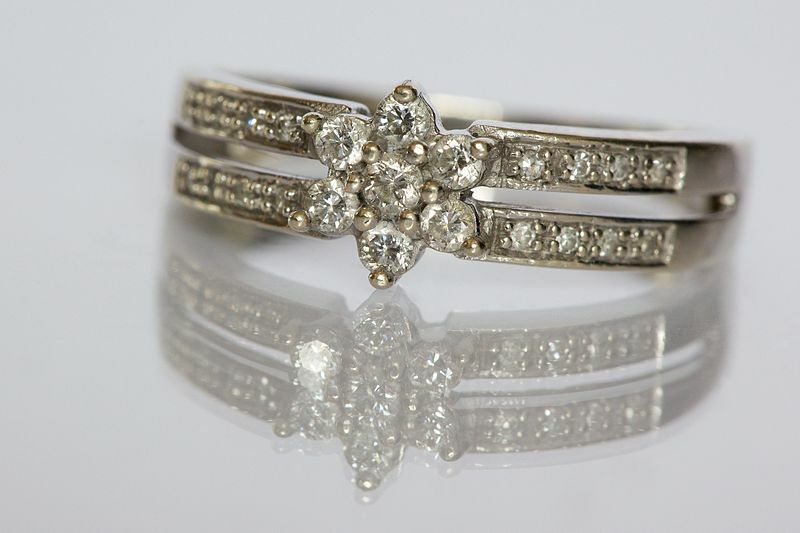 If you have shopped for diamond rings before, you should have a solid understanding of diamonds. Find something you like and ask about the cut…or the color…or the clarity…or the carats. If all of these words are Greek to you, first take a quick look at the Wikipedia pages. Most of the retailers like to quote the total carats of the piece, not of the individual stones, which is the true driver of price. One large stone is much more expensive than several small stones which add up to the same number of carats. These stores do have other stones that are frequently for sale, so you may want to read up on tanzanite, rubies, sapphires, morganite, and emeralds – although diamonds are the most common. If the salesperson doesn’t offer you a drink almost immediately, simply ask for one after you have asked a few questions about a piece of jewelry. Say you will think about it, or it’s outside of your price range, and move on – after you have redeemed your “free gift,” of course. The free gifts vary in quality, but some are quite nice costume jewelry pendants or an acceptable pair of earrings. Drinks in SXM are poured stiff, and the jewelry stores that allow you to drink for free in Philipsburg are no exception to that rule. In the space of an hour or two, you could easily acquire six or eight double rum and cokes. While you are at it, you can try on jewelry worth tens of thousands of dollars (literally). If you do plan to buy something, hold off on the heavy drinking until after you have made your purchase, to ensure that you do not make any decisions that you regret. The prices really are quite competitive and all of the prices are open to hard negotiation. If you can be easily parted from your Visa, or if you might fall in love with something and absolutely have to have it, no matter the cost, then please, for the sake of your pocket book, do not use these tips on how to drink for free in Philipsburg! Just stick to the $1 cans or the $15 buckets available on the beach. We used to do a “free gifts” scavenger hunt when I worked for a cruise line. So many stores offer free junk to get you in the door! The winner was the person who got back to the ship with the most free gifts. Nice! That sounds like a blast. I’m sure that your clients had a great time doing that.